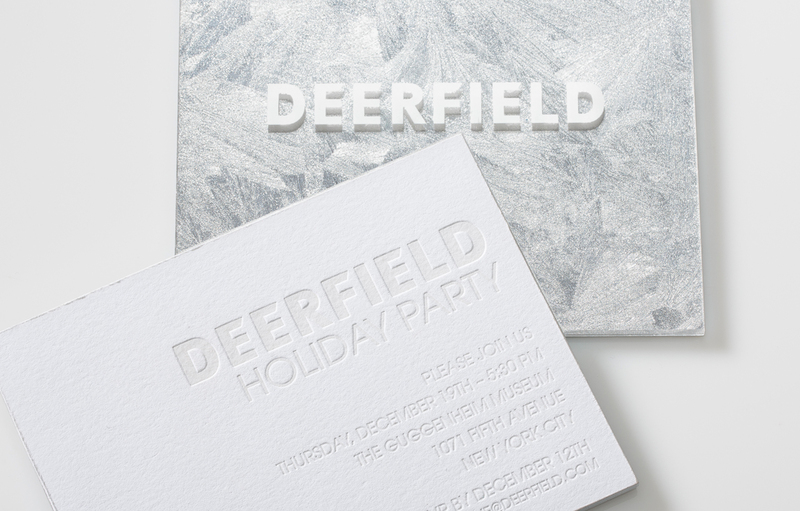 Blacker and Kooby in New York City asked us to collaborate with Real Card Studio on this corporate invite for the Deerfield holiday party. 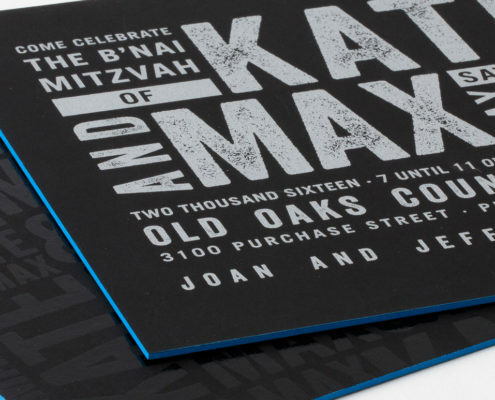 Real Card Studio designed the front tone on tone letterpress card and we worked on the acrylic backing with the silver leaf texture and assembled them. 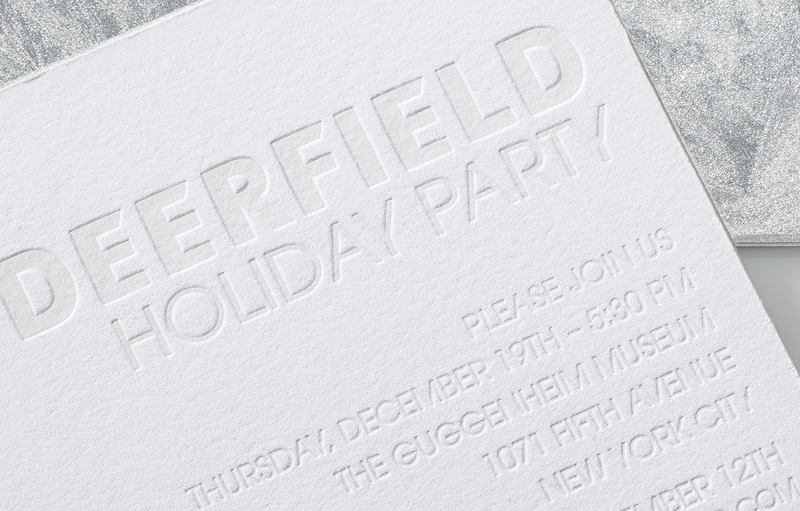 This invite is the perfect representation of the holidays and winter time. 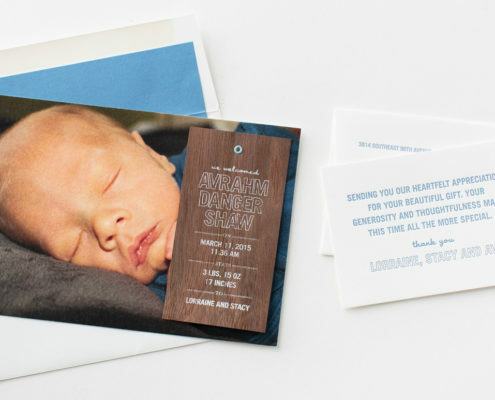 We have admired the work of Real Card Studio for years, so it was inspiring to work with Heather van Breda to create something unique together. 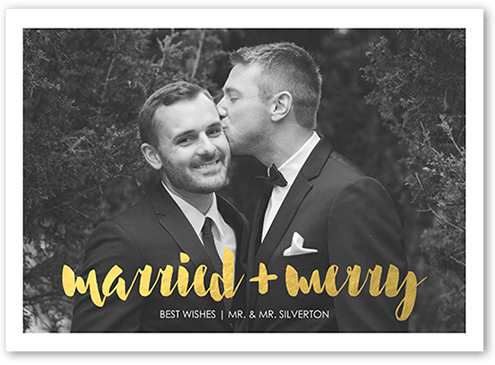 Designing holiday cards and invitations always gets us in the holiday spirit.